Real country fresh taste from real ingredients like a blend of delicious oils, water and a pinch of salt. Great for spreading, topping and cooking. Contains no artificial flavors or preservatives, and 0g of trans fats per serving. Country Crock® Original is rated 4.4 out of 5 by 16222. Rated 5 out of 5 by ajann1983 from Love it! I love Country Crock! It was a staple in our house growing up and I carry that on now in my household. I love the smooth, creamy taste and is great in any recipe. Rated 5 out of 5 by LP95 from Creamy and classic! All of these varieties are a go to for my family. I can't wait to pass down the things I've learned when cooking with it! Rated 5 out of 5 by Sissy59 from Yummy! 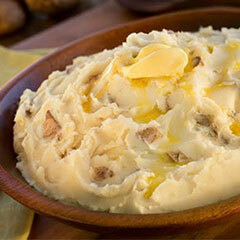 It is good tasting especially on bread or rolls, mashed or baked potatoes. Rated 5 out of 5 by Sidney from VERY PLEASED! Continue to frequently purchase your product(s) VERY PLEASED with their taste! Rated 5 out of 5 by Vkari79 from Great flavor Has a sweet taste and goes great on veggies with a little salt and pepper. Rated 5 out of 5 by jac21k from creamy taste The product is soft and creamy and spreads easily. It has a great taste! Rated 5 out of 5 by Meme511 from Love it! Family staple My whole family uses it almost daily and have been for years. Rated 5 out of 5 by Gma412 from Easy Easy to spread on bagels or toast. Tasty too. Price is right.